A Shariah Compliant, Bahrain based crypto exchange, ‘Rain’ announced to support XRP on their trading platform. Per the Shariah certification, the exchange was supporting only three crypto assets which are Bitcoin (BTC), Ethereum (ETH) and Litecoin (LTC) but the latest announcement revealed that they have on-boarded XRP and intending to obtain Shariah certification for XRP as well. 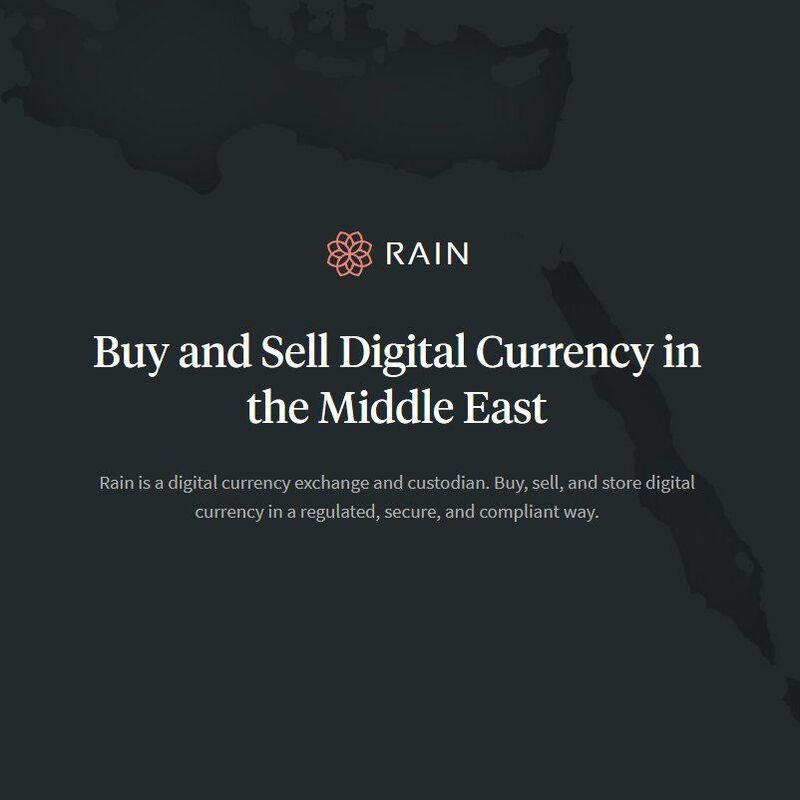 Founded in the year 2016 by four entrepreneurs namely – Yehia Badawy, Abdullah Almoaiqel, AJ Nelson and Joseph Dallago, Rain aims to be a ‘fully Sharia-compliant exchange’. The exchange has successfully completed regulatory procedures with the Central Bank of Bahrain’s’ Regulatory Sandbox (CBB) and already obtained Shariah-compliance certification from Shariah Review Bureau (SRB) – means that the exchange is working in accordance with Islamic rules and regulations set for investment and trading. Accordingly, Rain aims to enable crypto trading for Islamic institutional and sophisticated investors to trade in the emerging trend of cryptocurrency. As per Rain’s Twitter handles, the exchange has listed XRP in multiple pairs – XRP/BHD (Bahraini dinar), XRP/SAR (Saudi Riyal), XRP/AED (United Arab Emirates dirham), XRP/KWD (Kuwaiti dinar), XRP/OMR (Omani rial) and XRP/USD (US dollar). However, the exchange is in beta version until they receive full licensure with the Central Bank of Bahrain. Although Rain’s sharia compliance certification is based on BTC, ETH, LTC, but the exchange is reportedly looking to obtain Sharia certification for XRP. Our sharia compliance certification is based on BTC, ETH, and LTC. We are in the process of getting an opinion on XRP. 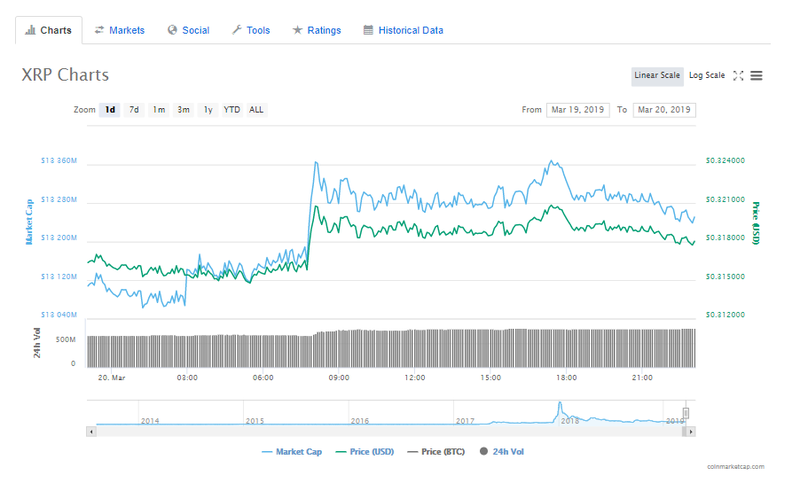 At the moment, XRP sits higher with 0.72 percent growth and trading at the value $0.31 against USD. Moreover, the present average trading volume of XRP counts at $13,269,782,326.